Recently, we decided to add scripture study to our family prayer each morning before Charming goes to work. At first, we weren’t sure how to run it, so we’d pull a picture out of our Gospel Art Kit and tell the Wooga Man about it. But it felt a little random, with Charming teaching him about President Uchtdorf one morning and me teaching him about Noah the next. 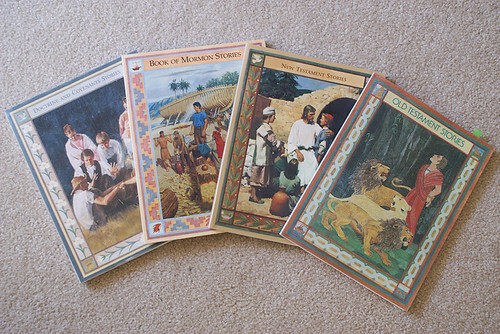 Not to mention the Gospel Art Kit pictures don’t cover everything that happens in the scriptures. 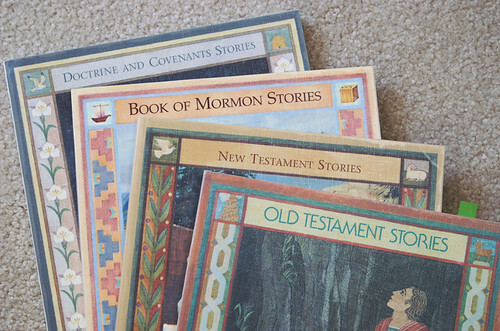 The Scripture Stories books I purchased way back when Bubbers was still a twinkle in our eyes and I could only dream of someday using them to teach our children the gospel. They were being stored at the top of Bubbers’ armoire, so I pulled them out and covered them with contact paper for added durability. Then I needed to decide where to start and thought the very beginning was a logical choice. 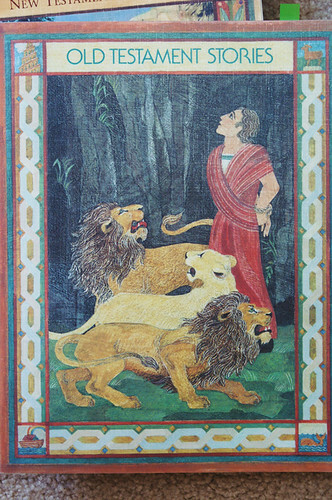 After that, we jumped in and started reading one story each morning after family prayer. And to be honest, I wasn’t sure how it would go. I didn’t know if these stories would capture Bubbers’ interest like Curious George, Little Critter or George and Martha did. But as usual, Bubbers totally surprised us. And insisted that reading only one story each morning was not enough. And begged to “Read more by yourself?” after saying goodbye to his Father. 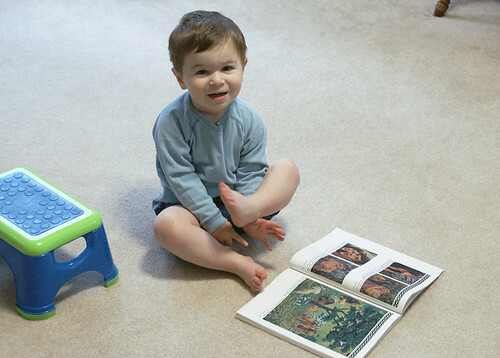 And as he sat on the carpet and carefully studied the pictures, I watched him from my breakfast stool with absolute adoration. This went on for about a week. When we were running late with our morning routines and only had time for family prayer before Charming had to leave for work. “What is it, Little Man?” his Daddy asked with concern, since Bubbers didn’t usually have trouble expressing himself. But right before I said it, my eyes met Charming’s and I thought I saw the same sadness I could feel in my own eyes. 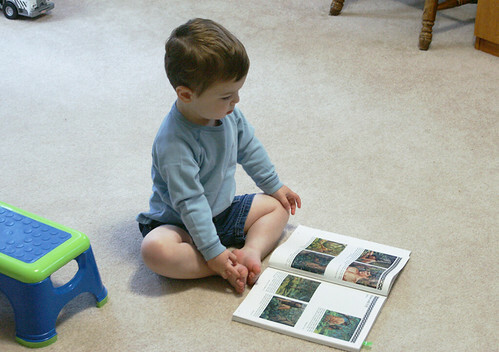 Bubbers pumped his arms and ran as fast as his little legs would carry him to the closet where we keep his Scripture Stories books. And as we sat down together to read, I looked at my family and smiled. And felt so grateful for a dear, eager little boy and a righteous, tender husband. Hope Bubbers has a life long love of the scriptures, how great. That is great! I hope he continues to be so enthusiastic!